Think about holding a solid block of material in your hand. Whether it is wood, brick, rubber, or metal, you can feel the edges as well as the weight of the object. Now, instead of these common materials, let’s say you’re holding a block of aerogel. You will not feel much of anything. The corners of this material seem to fade into the air. It is nearly transparent in some parts, and is literally lighter than air. 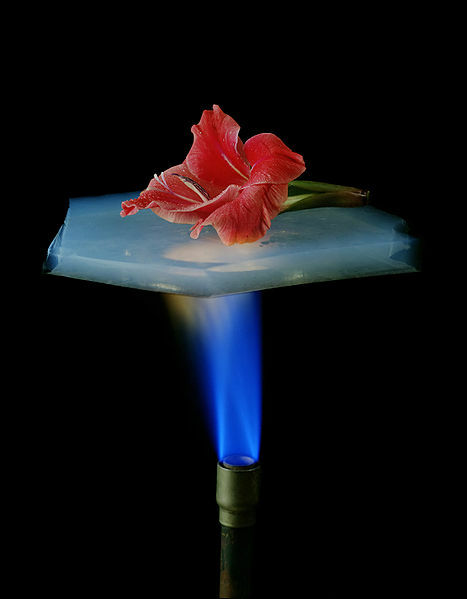 “Aerogels are the world’s lightest solid materials, composed of up to 99.98% air by volume” (aerogel.org). This ultra low-density class of material has some very astounding characteristics. It’s low density structure allows it to support thousands of times its own weight. While it is extremely strong under compression, it is very brittle. It can easily be snapped like a twig. But its amazing properties don’t stop here. 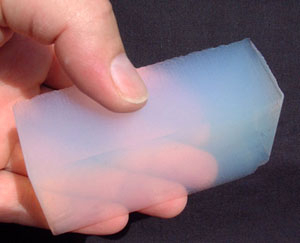 Aerogel is one the best insulators in the world to block out intensely high and low temperatures. Furthermore, aerogel is one of the world’s best acoustic barriers and electric insulators. And this is just the general properties of aerogel. Scientists have created aerogel substances out of silica, metal oxides, carbon, and other materials. They have been discovering more and more amazing uses of this type of solid. Because of its superior insulating properties, silica aerogels are used on space equipment, including on the Mars exploration rovers. Metal oxide aerogels, on the other hand, can act as catalysts for chemical transformations and carbon nanotubing and can be made magnetic. And some forms of aerogel have completely different properties than the rest. Cross-linked aerogels are not brittle like most aerogels, but rather have immene strength and flexibility. 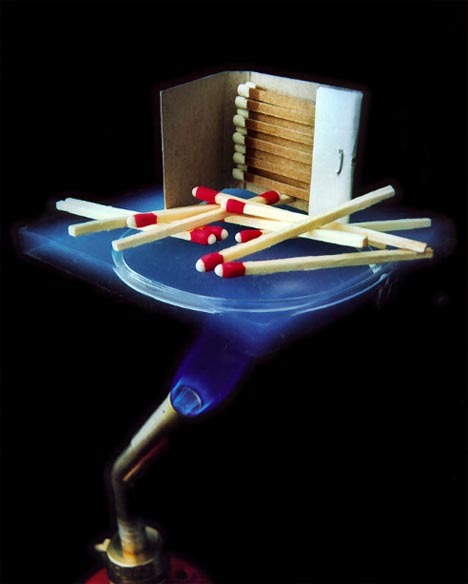 Aerogel was first created back in 1931, but the practical uses are just being discovered. Because it is expensive to produce, aerogels have not been integrated into current technology. Once the production process is developed further, this material may provide a cheap and effective solution to many problems. 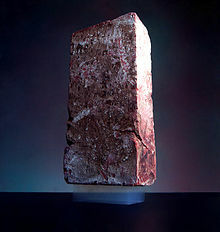 It could become the primary means of insulating houses and buildings. With its incredible absorbing capabilities, it could be used to clean oil spills. That’s really awesome looking. Do you know how expensive it is to produce/buy? Aerogel is an awesome material. For my EDSGN 100 class project, my group was actually considering using it to insulate a device to be put into a campfire to generate electricity. From that project, I knew of its properties as an insulator, but I never knew of its other properties such as its brittle structure. Wow pretty cool. Seems like we have only begun to see the potential that aerogel can have in technology and practical applications. Aerogel, that’s pretty cool, I guess. But can it solve world hunger? I think it’s just insulating, Dan. It has awesome properties; it’s not magic, though. This looks pretty awesome. Is the aerogel floating on the flames or just insulating the things on top? I want to float it with heat. It sounds like pretty crazy stuff and I hope it becomes more prevalent in the near future.